When renovating your kitchen, going over budget is one of the last things you want to do. Often, people forget about the small details in a reno project and don’t factor them into the projected cost. You also want to get the job completed in a timely fashion. It’s no fun living in a home that is in disarray. People who choose to do the work themselves tend to take longer than a team who can complete the project in a much shorter time frame. Attempting the renovation on your own may end up being more of a project than expected. Leaving the job up to the professionals can put your mind at ease. A meeting with a design professional is the perfect opportunity to discuss your vision for your kitchen. During that conversation, they will show you all of the options that are available in your price range. 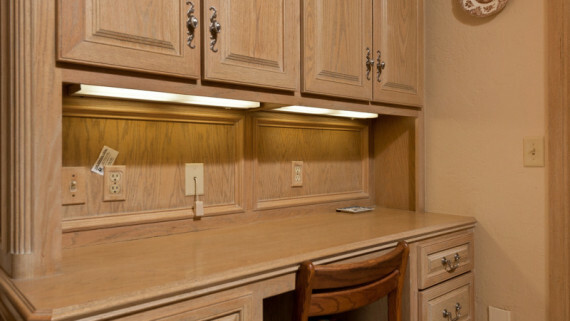 You will be informed about the different cabinets, counter top materials and other finishes that are available. In the consultation, you will be shown a variety of samples and photos of completed kitchens that will inspire you. You will most likely discover new ideas that you never thought of through the recommendations from the design team. Your expectations of your new kitchen and your lifestyle will be noted to ensure that your space will be functional and pleasing to the eye. When the design team provides detailed CAD (Computer Aided Design) drawings, there is less chance for human error. Every aspect of the job should be specifically plotted to ensure the installers don’t misinterpret measurements or layout design. No errors, means the job should be completed on time. 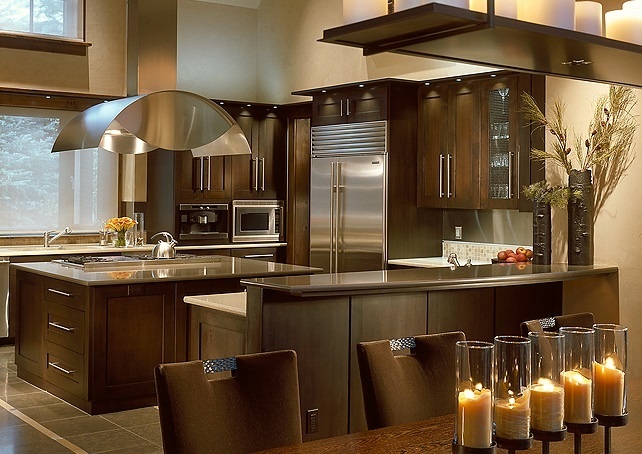 Every piece of your kitchen remodel should be accounted for when developing your budget. Customers won’t be shocked with extras that they weren’t expecting if they choose a reliable and experienced renovation company. During a remodeling project, you want to make sure that there is accurate communication between each and every trade that is involved. Contractors, plumbers, electricians, drywall installers and other tradesmen must all be on the same page. Hiring a renovation expert that is known for thorough communication and end results is paramount. If you are hiring a company to remodel your kitchen or any other part of your home, they need to be on top of the latest safety and building codes. It is imperative for the workmanship to pass inspection in order to be safe and legal. Electric and gas lines must be well defined and up to par. If there are no violations, the process will run smoother and the completion will be easier to achieve. After taking the above points into consideration, it is easy to see that the expertise of a professional will not only get the job done quickly, but will also get it done correctly. You will be more aware of the current styles and trends, along with the exact costs. There will be no surprises. The stress of doing the work on your own will be lifted. You will be able to sit back and enjoy your new kitchen in no time. 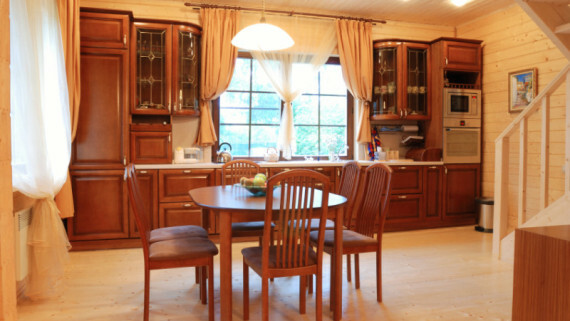 If you are considering a kitchen remodel, contact an experienced professional for a consultation. They will be able to find the style that suits your needs as well as your budget. For more ideas on improving your kitchen, check out: What Not To Include In Your Kitchen When Renovating and 6 Design Ideas To Create A Traditional Style Kitchen.